Few would deny that an all-singing and dancing spa experience is a truly wonderful thing. Taking those few hours, a day or a weekend to refresh and replenish your body, mind and spirit brings many benefits to our sense of wellbeing. And while (for most of us) spa days are a special treat rather than a weekly ritual, there’s no reason why we can’t replicate elements of a spa experience at home to be able to enjoy some of those benefits on a more regular basis. Put some thought into creating relaxing and clutter-free environments for your bathroom and bedroom thinking about full sensory relaxation in the way you use lighting, music and scent. Using relaxing instrumental music and essential oils can create a new ambience for familiar rooms surprisingly quickly. And the best bit? Unlike in a spa where you may relax to the point of wanting to fall asleep but perhaps feel too inhibited to actually sleep amongst a row of perfect strangers on adjacent sun loungers, at home you can simply curl up and go to sleep. Investing in yourself doesn’t need to cost a lot, but the cost of not being kind to yourself can run a lot higher. Give yourself time to relax. Perhaps with an occasional spa day, maybe more regularly with an at-home spa but most importantly every night by creating positive sleep habits. 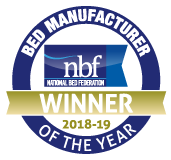 Find out more about the kind of #perfectsleep on offer with a handmade Millbrook Bed.